Product categories of Pencil & Cosmetic Bags, we are specialized manufacturers from China, Pencil Bags, Cosmetic Bags suppliers/factory, wholesale high-quality products of Foldable Pencil Bags R & D and manufacturing, we have the perfect after-sales service and technical support. Look forward to your cooperation! Pencil and cometic bag ,made of high quality high density neoprene rubber , waterproof and washable . Polyester surface Pencil Bags ,multi color and add your printing logo . Pencil bag and cometic bag has different size and shape , flat pencil bags , round pencil holders , ladder type cometic cases ,also oem designs . You provide logo and photos ,we can do pencil bags or cometic holders samples in 1-3 days . Low moq is always provided for you , customized pencil bags 500PCS or 300PCS cometic bags both ok , lead time is 15 days . 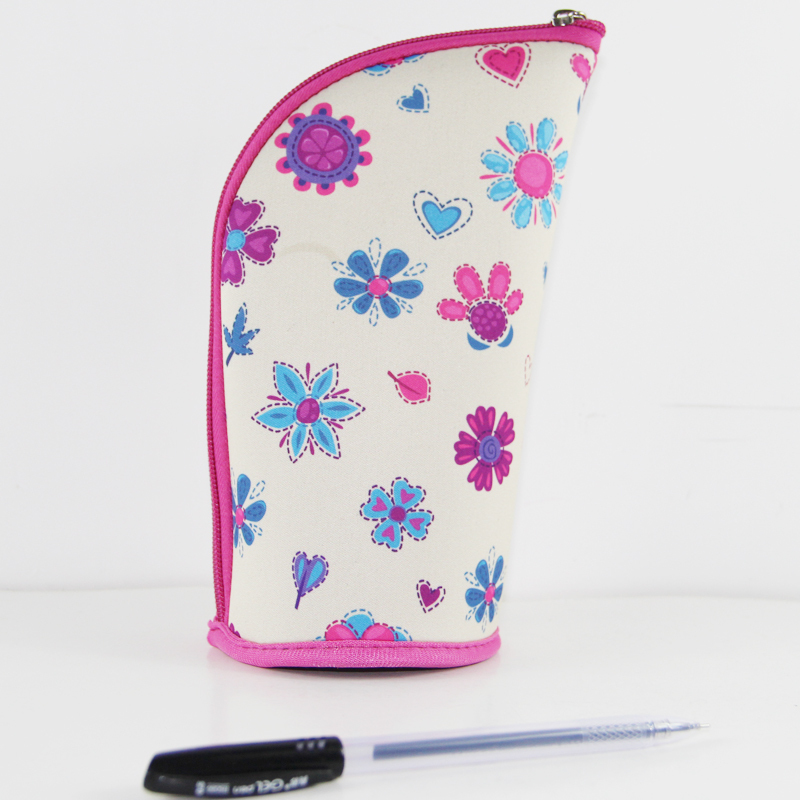 Accept OEM ODM design for pencil bags and pencil cases , high quality forever .